I decided to hit up Port Mansfield for a quick fish. I arrived at 7:15am and quickly launched into glass like water. 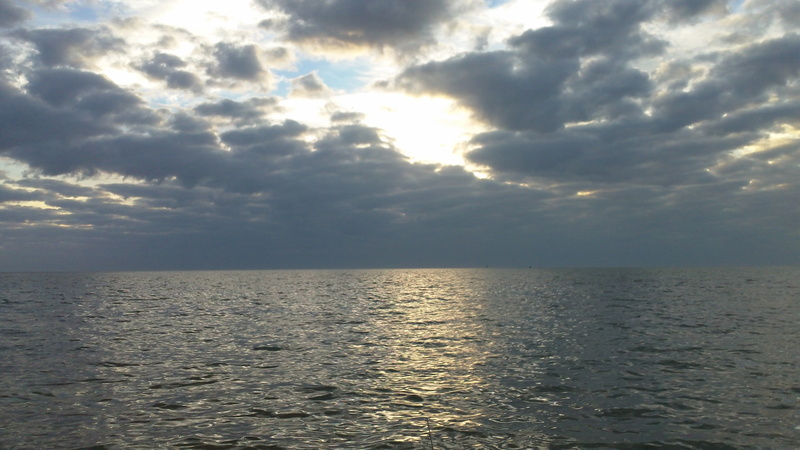 There are several spoil islands parallel to the ICW. 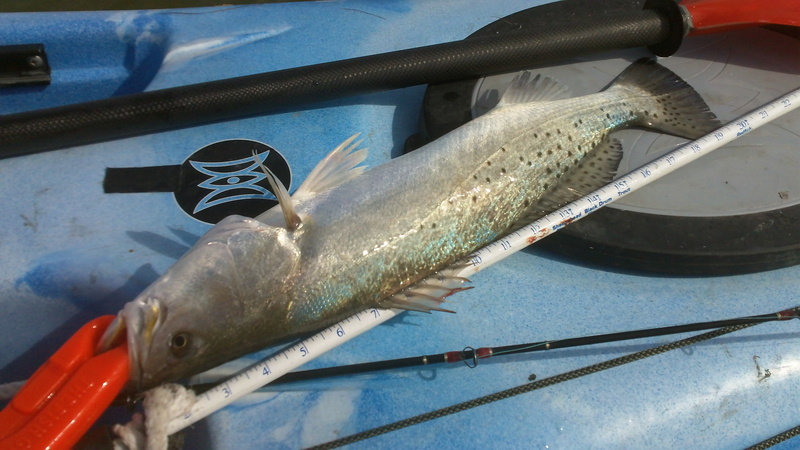 These spoil islands often produce good fish so I cruised the kayak along the drop offs doing some spot fishing.With no bites I decided to switch it into grind mode which means a slow wade. I started my wade on a point near a small channel in-between spoil islands . As soon as the tide started to roll in the bite turned on. I caught numerous under-sized trout looking for larger ones. After an hour of schoolies I moved further along the spoil islands. 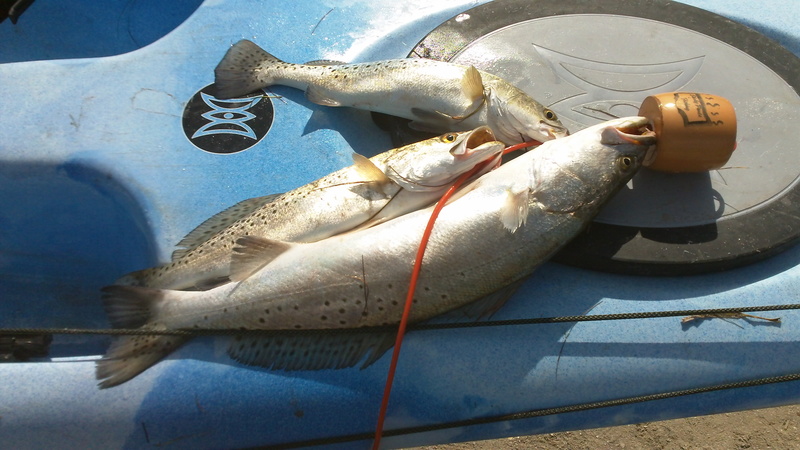 I finally started catching keeper trout in belly deep water fishing towards the ICW after full tide. I used a Kelly Wiggler in Plum Blue Metal Flake/Chart Tip on a 1/8oz jigheads to catch all fish. 3 trouts for the pan!